If there is nothing in the bible against them, then he certainly does. There’s nothing in the Bible against homosexual people any more than there’s anything in the Bible against any of the rest of us. It’s God’s desire that all of us repent of all our sin – homosexuality or whatever sin that might be – and trust Christ’s death, burial, and resurrection as the payment for the penalty of our sin for salvation. That applies to people of every sexual proclivity. If homosexuality is a sin, can you repent a sin you are dedicated with a marriage to commit? Note that I’m neutral when it comes to homosexuality, but I find the notion of God’s approval amusing. Thank you for writing this. Hopefully it will influence other Christians for the better. The Bible’s not about hate. Mmm. “Drenched in evil”. I wish you could come to worship with me. Two lesbian couples worship with us. We held the marriage of one of these couples a year ago. I wish you could see the love of God in their faithful lives. I am most perturbed by your phrase “good little Sunday school girls”. You see, humans continually fall short of the grace of God- this is hamartia. One way they do this is by adhering to human conventions, rather than God’s ways. Your “Sunday school” ways are good, but they fall short. Thank you for your polite and thoughtful comment, Clare. 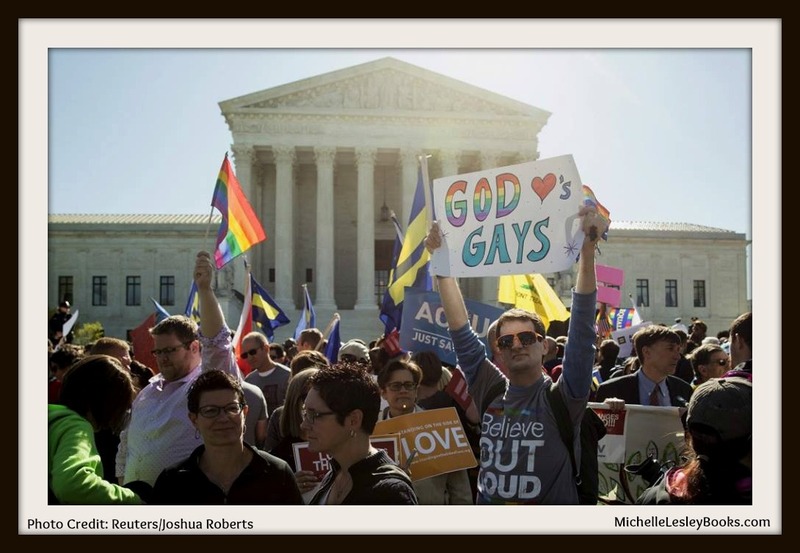 I’m afraid I could not worship in your church because any organization that encourages people to stay in their sin (such as “marrying” a lesbian couple) is not a church, regardless of what the sign over the door says, and does not worship the God of the Bible. Jesus Himself called sinners, which ALL of us qualify as, to repent – turn AWAY from our sin – and follow him. People who willfully continue to embrace and practice sin, whatever that sin might be, are not Christians by the Bible’s own definition. A true, biblcal church preaches the truth of Scripture and calls all sinners to repentance and faith in Christ. Your second paragraph was exactly what I was trying to say, and what a lot of people who think they’re Christians need to hear. It doesn’t matter if you’re somebody like me who was born into a church-going family, never did anything really bad by the world’s standards, and was always pretty much a “good little girl”. People like that – like me- are just as much sinners in need of Christ’s propitiatory death, burial and resurrection to forgive us for our sins as homosexuals, liars, murderers, child molesters, adulterers, or whatever sin you think is the most heinous. EVERYBODY – no matter how good a person you THINK you are – is a sinner, “drenched in evil”, in need of Christ’s forgiveness, including me. That’s the point I was trying to make by including myself. I apologize if that did not come across clearly. I would go further on the “good little girl”. In The Karamazov Brothers, a woman rebels against the stifling conventionality of her society, which has been forced on her as “Christian Goodness”. Without other language to describe it, she says she wants to choose “evil”- that is the only way she can think of escaping her conventionality. Yet if she wants to be authentic and truly free, she would be closer to the Way of the Cross. They show that the work of the law is written on their hearts, while their conscience also bears witness, and their conflicting thoughts accuse or even excuse them 16 on that day when, according to my gospel, God judges the secrets of men by Christ Jesus. But it’s easy to talk about abstracts and other people. What if we brought it down to a more personal level? What about you, Clare? What about your sin that Christ calls you to repent of and turn your life over to His control? How do you respond to Him about that? No. Dostoevsky’s point is entirely that the Christian church can so easily descend into conventional respectability, which is not good enough. I had moved onto the wider point beyond homosexuality, on which I think myself unlikely to convince you. The point is that while casting around for something better, Lise has no language for it; so as conventionality has been called “goodness”, she claims she chooses “evil”. However, this gives her the possibility of growth towards understanding. Accepting conventionality unquestioningly is death. Over last weekend, I was at the Yearly Meeting of Quakers in Britain. We make our decisions in worship, moved by the Spirit. On Monday morning I felt suffused with the Love of God, an intense sense of my own rightness and beauty as I am. Created in the image of God, I am loving, creative and powerful. God knit me together in my mother’s womb- God’s works are wonderful, and I know it well. My sin was to deny that beauty. I have been afraid of my fear and anger; but if I do not fear and resist them, they give me energy for my work in the World, as God created them. That’s an interesting perspective. Since you alluded to it, what role does the Bible – God’s word to us – play in all of that? For example, where does the Bible say that denying the beauty of who you are is a sin? Because while the Bible says we are knit together in our mothers’ wombs and fearfully and wonderfully made in Psalm 139:13-14, several chapters before that, it also says we are sinners from conception (Psalm 51:5). Additionally, the Bible says we shouldn’t trust our feelings – even if it’s a “God-ish” sort of feeling – because our hearts can deceive us into believing things that aren’t true (Jeremiah 17:9), and that, no matter how right we may think we are with God, no one is righteous apart from repentance of sin and faith in Christ (Romans 3:10). The Bible doesn’t say you’re right with God because you felt His love and have accepted yourself as you are. In fact, it says the opposite. Jesus said we have to deny ourselves, take up our crosses and follow Him (Matthew 16:24). The only way you can stand clean and right before God is to, as Jesus said, “repent and believe the gospel” (Mark 1:15). This post shows my understanding of Easter. The Bible is inconsistent. It is a dialogue of differing views of God, because we see through a glass darkly. So Ezra and Nehemiah have an exclusive vision of God’s people, contradicted by the tale of the Good Samaritan. That’s a great article and very well written. Thanks for sharing it with me. It’s kind of detached, though (not that there’s anything wrong with that), so it’s hard for me to tell what you believe in your heart on a personal level. What do you personally believe about Jesus’ life, death, burial, and resurrection. What does it have to do with Clare, right now, today? If you wanted me passionate, you could have seen us in worship together on Monday. (Forgive me, another blog entry). This is what we said together. What does Jesus mean to me? For us, the whole New Testament is a command to build the Kingdom of Heaven now, here, on Earth, as we live. To invite everyone to our life. Jesus’ self-sacrificial example is the road we follow. There are two interpretations of the Narrow Way. Either it is narrow and cramped, circumscribed by rules- no gay marriage, that sort of thing- or it is that I be fully and idiosyncratically myself, just as God created me. Actually, I didn’t ask what Jesus means to you. Sorry if I wasn’t clear. Jesus isn’t open to interpretation. The Old and New Testament are both very clear about who He is and why He came to earth. You can choose to accept that or reject it, but what you can’t do is put a new spin on it and call it biblical Christianity. Nowhere in the New Testament are we told that our responsibility is to build the kingdom of God on earth. And the purpose of Jesus’ life and death was not merely, or primarily, to give us a good example to follow. Now, those are both concrete, definitive statements. All have sinned. Michelle has sinned. Clare has sinned. Everybody has sinned. Because of our sin, we are estranged from God, and there’s nothing we as humans can do about that. We are helpless and hopeless. But Christ Jesus came into the world to save sinners like us. The reason He died on the cross was to take the punishment we deserve for our sin, not to set a good moral example for us. That leaves each one of us with a choice. You can choose to stay in your sin and take the punishment for it yourself (the consequences that come with sinning while you’re alive, followed by an eternity in hell when you die), or you can leave your sin behind, turn to Christ, and place your trust in the fact that He took your punishment for you on the cross, that He died, and that he was bodily raised back to life on the third day. That is a real, concrete choice that you must make, Clare. I’ve made my choice. I trusted Christ. He set me free from my sin, my guilt, and my shame so I can be who He created me to be. He gave me peace. He made me clean. He opened my eyes to Truth and gave me answers. He gives reason and worth to my existence. I’m not afraid to die because I know for certain what’s going to happen to me. And I know something else, too. I know that you’re not following my blog by accident. God sent you here so you could hear the truth about Him– He loves you. So much so that He sent His Son, Jesus, to die for in your place. God wants to set you free from your sin just like He set me free from my sin. Would you give that some real, serious thought, Clare? Mull it over. And re-read the gospels (Matthew, Mark, Luke, and John), asking God to show you through His word – not through a mystical experience, but just through the simple words of the Bible – who Jesus really is, what He did for you, and how you should respond. If you have any questions or need some help with a passage or something, please feel free to e-mail me any time at MichelleLesley1@yahoo.com. I love you and I’m praying for you. Thank you for your reply, so late at night. I am sorry to hear of your power cut. God does move us, but perhaps God brought me here to offer you a different understanding? Why should it just be you teaching me? Though you do, I assure you. “Christ came into the world to save sinners” is not the same as to say that He took the punishment we deserve. Substitutionary atonement was devised by St Anselm in mediaeval times, and though Calvin believed it, it is not Biblical. I must do a post on The Peaceable Kingdom. I just learned the word for what I believed: I am a Preterist. (Don’t worry, they can be serious Evangelicals as well as wild Liberals). The prophecies of the Bible have come to pass. So the Beast out of the Sea is the Roman Empire, and the wars and rumours of wars are the Jewish revolts of 67-70 and 135 AD. Jesus said “Go out and make disciples of all nations”. I will get together a few more references. Thank you for your prayers. Prayer is always welcome, and good for me. Because, while I appreciate your perspective and sharing with me where you’re coming from, what you’re trying to “teach” is in direct contrast with God’s written word, and God never contradicts Himself. Right. That’s not the point I was trying to make with that verse. You had said or implied that the purpose of Christ coming to earth and dying on the cross was to set a good, self-sacrificial example for us. That wasn’t the purpose. The purpose was to save sinners through His death on the cross. Jesus said “Go out and make disciples of all nations”. “Teaching them to observe ALL that I have commanded you.” If you will read back through the gospels, you’ll find that Jesus says in Mark 1:15. “repent and believe in the gospel.” Which is exactly what I have been sharing with you. Repent of your sin. Believe in the gospel, the “good news” that Jesus – God in the flesh – came to earth, lived a perfect, sinless life on your behalf, and then took the punishment you deserve for your sin so that you could be set free from it and made right with God via the righteousness of Christ. We could argue theological constructs all day long, but at the end of the day, that is what you are faced with. You are a sinner. Christ died for you. What are you going to do with that? Doesn’t the Bible say, though, that God hates the wicked?